Capital New York put out a great article about 'expert' opinions on Mayor de Blasio's affordable housing plans. "And so he's calling for the creation of 80,000 affordable units and 160,000 market-rate ones, or 24,000 units a year over ten years. He also hopes to preserve another 120,000 units of affordable housing." But the article cites critics who say that his focus is too limited to the city proper. "But (Christopher Jones, Vice President for Research at the Regional Plan Association) and others argue that by focusing so exclusively on the five boroughs, and failing to acknowledge the regional nature of housing and jobs, of the economy writ large, the city is short-shrifting its residents, some of whom might be more than willing to move to some nice, transit-oriented development in the burbs, were the cost differential persuasive." There is, of course, some push back from the 'burbs'. "'You can't just ask localities in the region to bear the brunt of an overflow housing demand in New York City,' said Jerilyn Perine, executive director of the Citizens Housing and Planning Council. 'It has to be part of a strategy that's going to help them solve some of their problems as well.'" The article ends without any concrete plans from these critics on how to help the suburbs help the city, apart from a obscure reference to the 1898 creation of the "City of Greater New York", when the four counties surrounding the island of Manhattan were incorporated into one metropolis. Suggesting that the city should further annex/incorporate the remaining counties would be difficult to say the least, when you consider the suburbs' deep-seated, old-school disdain for the city and urban life in general. Plus, in those surrounding municipalities you have local bureaucrats and plutocrats who have no intention of losing their salaries, titles, and influence at the local level. After all, why would we need to keep multiple, municipal police and fire departments—each run by their own salaried commisioner and bureaucracy—when they could all be consolidated under the NYPD and FDNY, each with their one commisioner? Good luck convincing those who benefit from these local bureaucracies to give it all up. To that end, I would argue that it would easier and more efficient to consolidate all the city and suburban transit. It's time to get rid of all the disparate ticket/fare prices for the LIRR, Metro-North, PATH, NJ Transit, and regional bus companies and run everything on a MetroCard swipe, including free transfers between city and suburban transit. Basically, a single MetroCard swipe could take you from Poughkeepsie, NY to Trenton, NJ and from New Haven, CT to Montauk, NY via bus and rail. 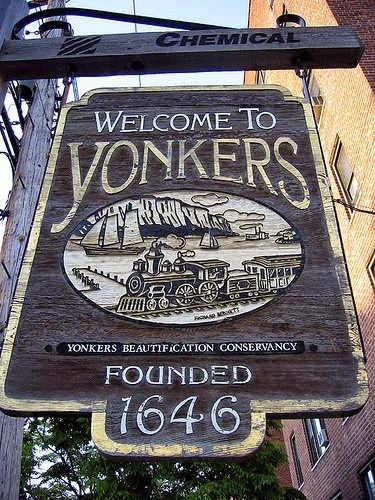 It would not only make the surrounding region an affordable alternative to the city, but also decrease suburban car-dependency and increase transit ridership, while spurring both the revival of old, pre-war, railroad suburbs like Yonkers and spur the construction of new transit-oriented developments. The de Blasio administration's plans to create more affordable housing and increase density should still be pursued, but they are not an end to itself. Especially in light of all the opposition and hardships they cause.